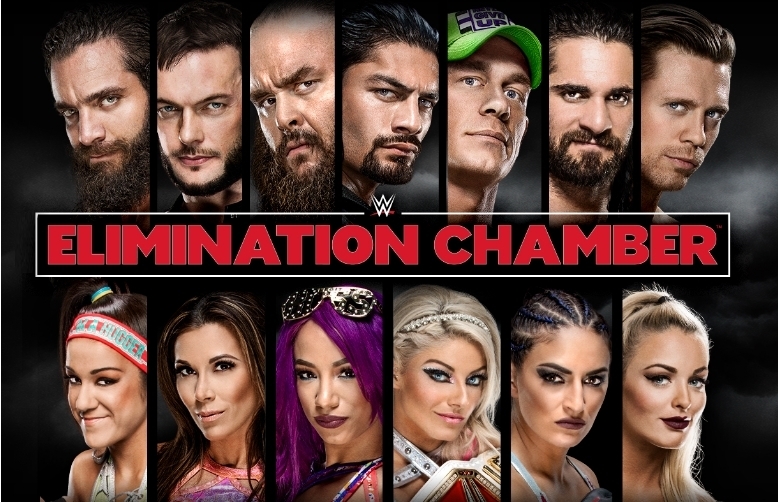 Most of WWE has been excellent in 2018. Other than Smackdown, the weekly shows are usually giving us high quality wrestling and some strong storytelling. Raw was on a roll heading into this Pay-Per-View. Could they keep it up or live up to the great Royal Rumble PPV? Ronda Rousey came out to sign her contract next, complete with Kurt Angle, Triple H, and Stephanie McMahon in the ring. The segment moved along relatively fine, though Ronda is clearly still not comfortable on the microphone. She didn’t talk for a long time, but I still cringed a bit. Once Kurt Angle opened his mouth, the segment was saved. He hilariously confessed that HHH and Stephanie were still unhappy with Ronda for WrestleMania 31 (between this and what we find out was the Universal Title match, might as well call this year’s Mania WrestleMania 31: The Sequel) and they wanted to control her. With Ronda no longer talking, the segment took off. She put HHH through a table with a great looking spinebuster. Stephanie did slap her, but Ronda just gave her a look and she went running. Ronda signed the contract, setting up some kind of mixed tag at Mania most likely. It started slow and Ronda could definitely use a mouthpiece, but it ended with a bang and made me interested in Ronda. Success. Overall: 6.5/10. Raw has been a very good show so far in 2018. However, their exclusive PPV performed like most of their others since the brand split. It was above average and nothing more. The two chambers were very good and certainly the highlights, but the rest of the card felt like filler. Even with Asuka/Nia being solid and the Tag Title match being good, they didn’t really feel special. Other than the Chambers, it felt like an episode of TV. The same goes for the Ronda segment, even though it was good.